A complete step by step tutorial on Benefits of Offering Web Hosting Accounts With Softaculous. Hello friends, I hope you all are doing great. In today’s tutorial, we are going to have a look at Benefits of Offering Web Hosting Accounts With Softaculous. Many web hosting resellers wonder if they need to offer Softaculous to customers with their hosting packages. After all, there are many one-click application installers available in the market. Then, what makes Softaculous so good? In this article, we will take a closer look at this auto installer and explore the benefits that it offers you, as well as, your clients. So, if you are running a web hosting business and utilizing the services of a Reseller web hosting provider, then read on to find out how Softaculous can help you offer better services to your clients. First things first, Softaculous is a single-click application installer which can automate the web application installation to the site. Further, it integrates well with cPanel and many other control panels while offering the users access to more than 400 applications. The list of applications is spread across categories like Blogs and Microblogs, Image galleries, Forums, Gaming, Analytics, Polls, Content Management Systems, Calendars, Wikis, e-Commerce, frameworks, etc. 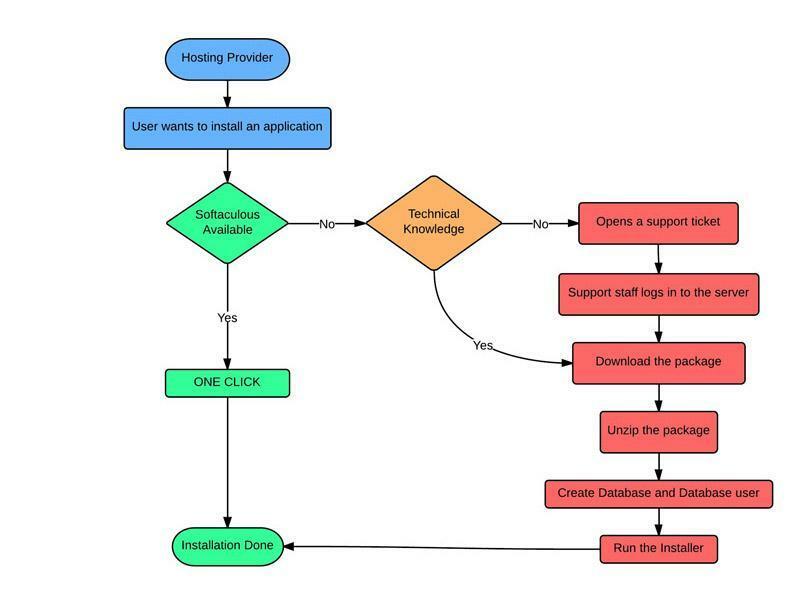 One-Click Installs – which allows you to install applications with a single click. The apps are updated with every new release. The API (Application Programming Interface) and SDK (Software Development Kit) are documented well and simple to use. It allows you to configure backs and restore them too. Since the applications are updated regularly, you can be assured of using the latest version when you install an app from Softaculous. This enhances the security of the website. Managing backups is a breeze with Softaculous. It offers an email notification functionality which enables you to keep a tab on the latest version of the applications used by you, the backup progress, etc. As a web hosting reseller, Softaculous offers you a dual benefit. It saves your client’s time from searching for different applications and manually installing them. Further, this reduces the number of technical support requests from your clients which free your time. So, you have happier clients with more time on hand to grow and expand your business. Softaculous is undoubtedly a great tool to help a web hosting reseller offer a one-stop solution to his clients for the application needs. It is also one of the most famous auto installers which offer a solution for the complete lifecycle of the application – installation, backing up, and regular updates. We hope that this article offered you some good insights into Softaculous and that you will consider offering hosting accounts to your clients with this installer as a part of the package.